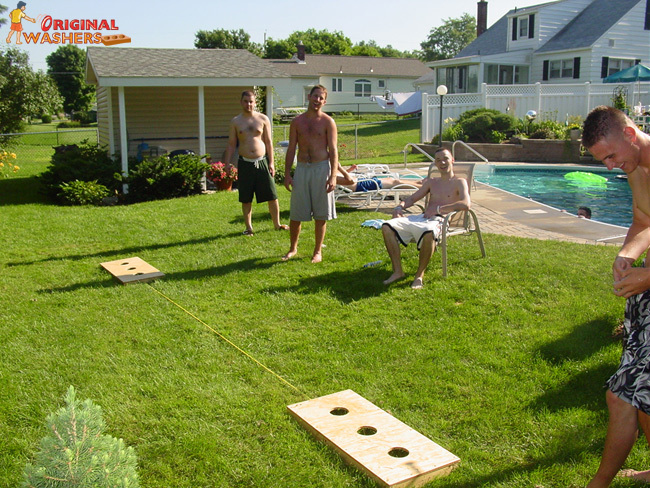 Submit Your Order By & Receive DOUBLE WASHERS FOR FREE! No coupon needed! 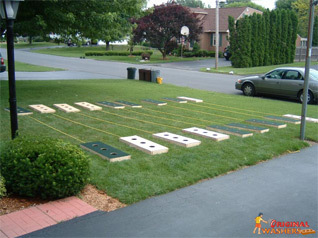 The carpeted edition is covered with a very nice indoor/outdoor carpet that creates an excellent gaming experience. Original Washer boards are handcrafted by professionals with a great amount of care put into every single washer board. 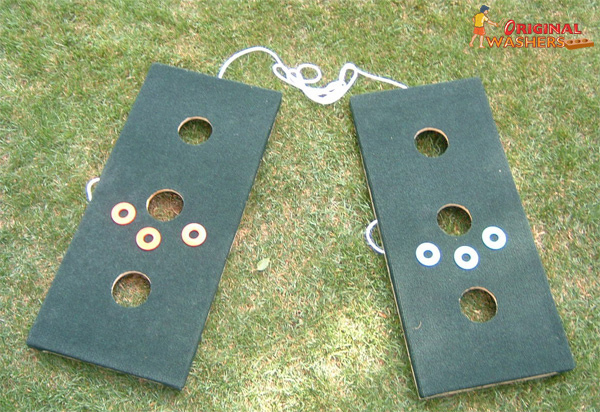 Each washer board is light enough for one person to carry and even includes easy carrying handles. 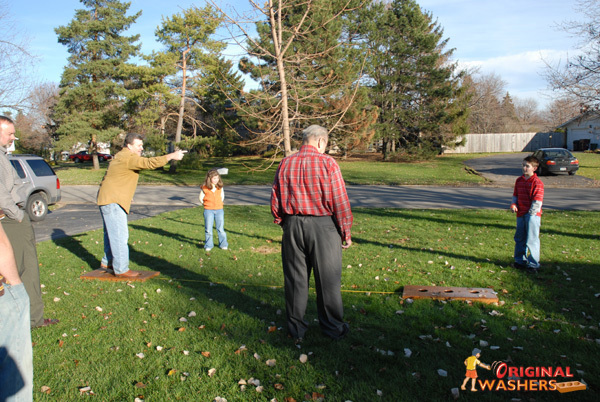 Two boards are included in each set. 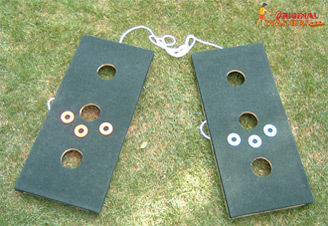 Two Regulation Three-Hole Carpeted Surface Washer Boards. Handcrafted in the USA and built to last. Now includes Washers Clasp for easy storage and portability. Have a question or need help? Feel free contact us!